The Dimension Police clan is filled with heroes who will go out of their way to protect the galaxy, and villains who seek out to destroy it. 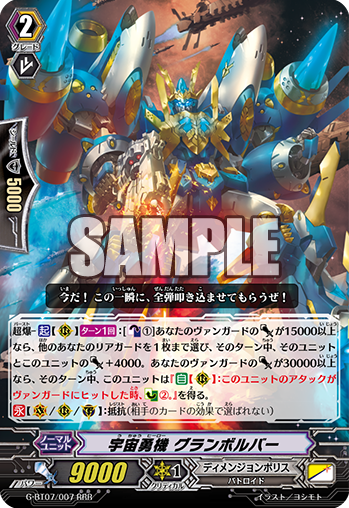 This extra booster gives support to all the old sub-clans and archetypes such as Dimensional Robos, Enigmans, and Zeal, as well as the more recent sub-clan Metalborgs. This set also gives us the all-new Cosmic Heroes, bringing a new group of robots fighting for justice in to the mix. 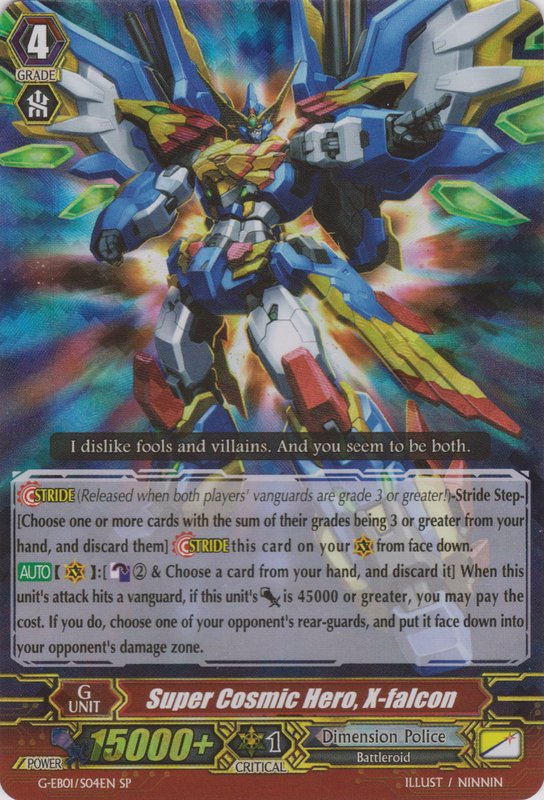 At first we can see that this booster is filled with support cards that exploit every part of each sub-clan in Dimension Police; though some get a lot more support than others. This set has a huge number of power boosting units, more then we have ever seen in previous sets that feature Dimension Police. 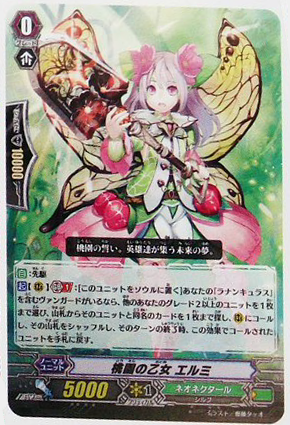 Additionally, power boosts are received via a large number of cards, making even the weaker cards useful in competitive decks. 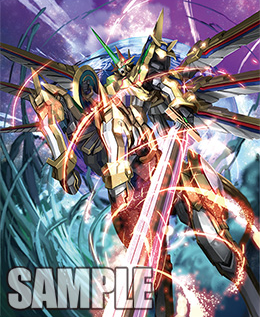 Looking at the box art and advertising for Cosmic Roar we see that Super Cosmic Hero, X-tiger features heavily to my mind this isn’t the best art from the set. 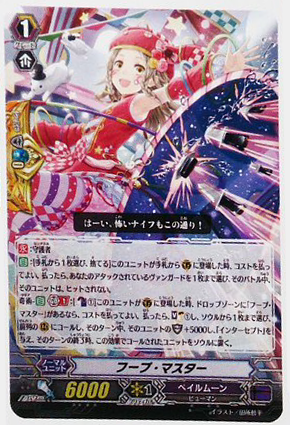 Apart from that this set has an amazing amount of great and eye-catching artwork throughout the cards, giving a nice robot and Japanese superhero theme that this clan is known for. 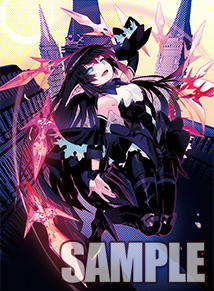 Of course as this is the first Dimension Police set in the G series we get our first look at Dimension Police G units. There are four G units in this set with only one being sub-clan specific. 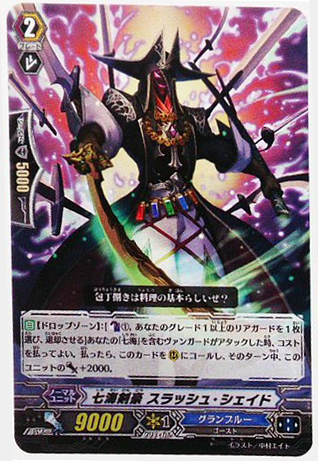 The before mentioned “X-tiger” may not be the greatest to look at but his ability really shines with the Dimension Police and gives you a good feel of the Cosmic Heroes’ skills of getting to a certain power level. 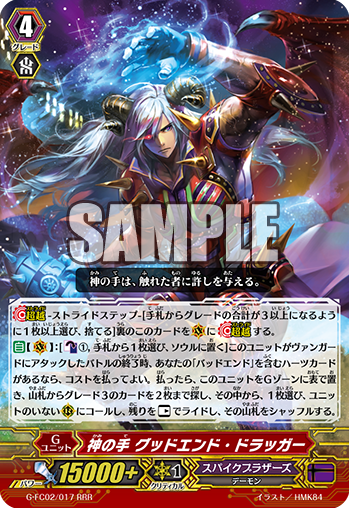 Another Cosmic Hero G unit is X-falcon, my personal favourite from the set mainly because he brings something new to the clan. Super Cosmic Hero, X-falcon has an ability that will put extra crits to shame. 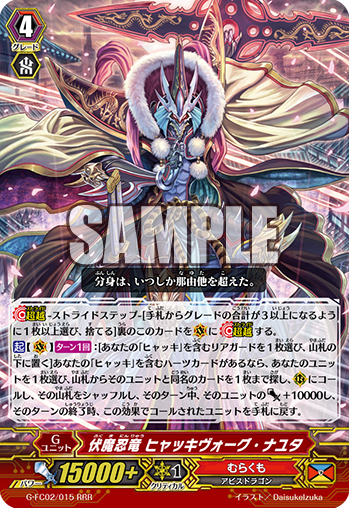 Not only does he deal extra damage if he has enough power, but that extra damage comes from taking your opponents rear guards and placing it face-down in their damage zone, reducing their field, stopping them from damage checking, and taking away the possibility of counter blasting with that card. Dark Superhuman, Omega does well to give the villains of Dimension Police the skill that they deserve. 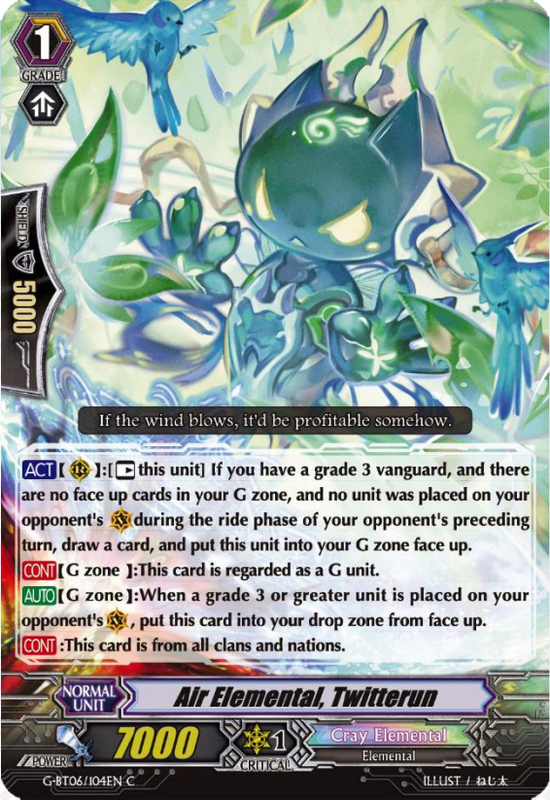 Putting an 11k grade 3 into the soul, thus reducing all power on an opponents front row by 11k, this will very likely put all their front row at 0 power unless they have a crossride then their Vanguard will be at a frightening 2000 power! 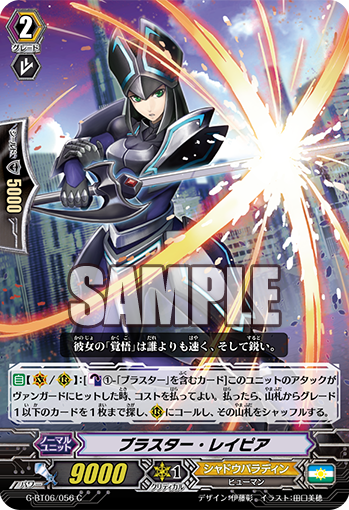 This skill is made a lot easier if you used Daiearth the previous turn to bring out a grade 3 from the deck, that way you don’t have to waste stride fodder to put your opponent at -11000. 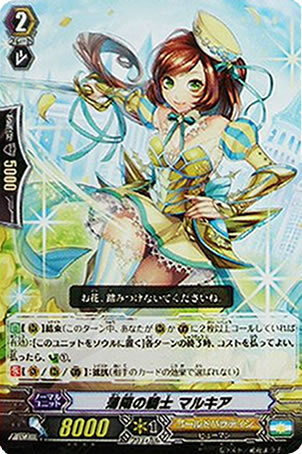 And the final G unit is one of the least popular G units of this set. 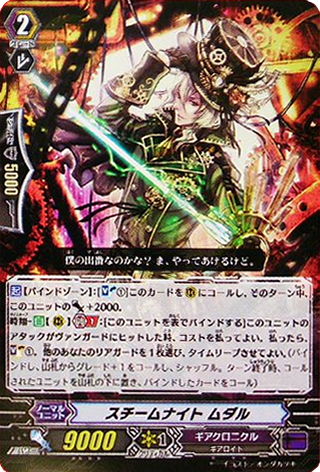 Daiearth’s skill doesn’t exactly feel like a Dimensional Robo’s skill, but it can prove to be very useful. 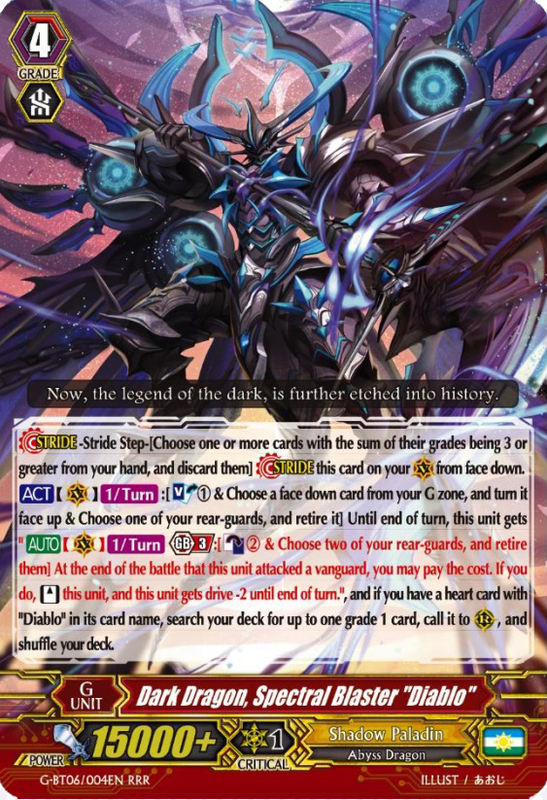 Using it in a Daikaiser deck can allow you to bring out Shadowkaiser to the rear guard circle. 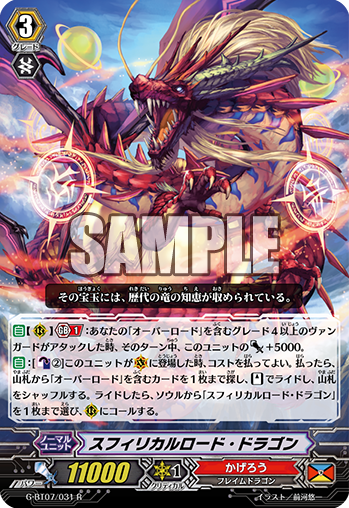 It can also be used to bring out the new Daijet to help provide more cards to stride with by putting a grade 3 in the deck and to put more pressure on your opponent when your vanguard attacks. Something I noticed about the new Cosmic Heroes is that they feel like how Dimension Police felt before everything was overrun by sub-clans which older Dimension Police players will love to experience again. That said, Cosmic Heroes haven’t only adopted the strengths of the old cards. 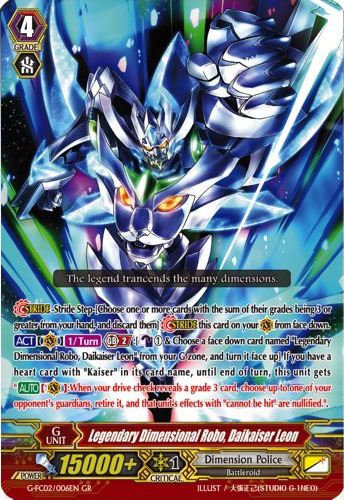 They also have abilities allowing them to draw extra cards from on-hit effects, and their leader, Great Cosmic Hero, Grandgallop, has a similar effect as Great Daikaiser that allows him to have three drive checks as a grade 3 which allows him to work well with old cards like the original Daikaiser’s break ride skill. 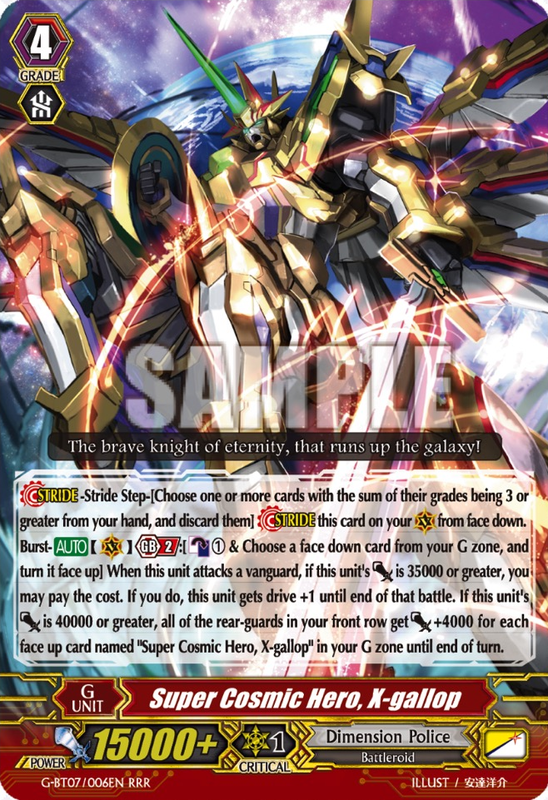 Gallop proves to be a great new card for Cosmic Heroes and Dimension Police in general, taking full advantage of the Dimension Police heroes’ boosting abilities. 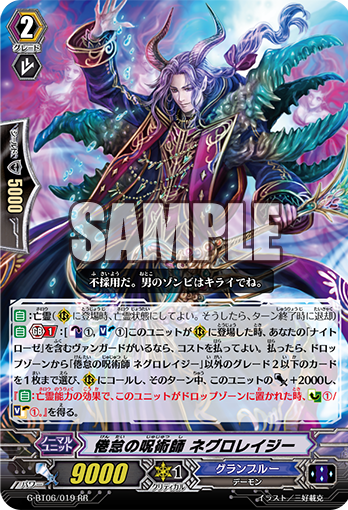 This unit’s generation break 2 ability is scarily easy to pull off as long as you have a boosting unit behind him with at least 7000 power and one of your rear guards give his an extra 4000 power through one of their effects. 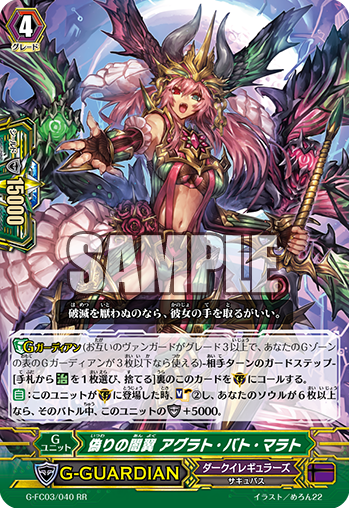 Grandbazooka can provide great support to Gallop as your second grade 3 in a Gallop deck. 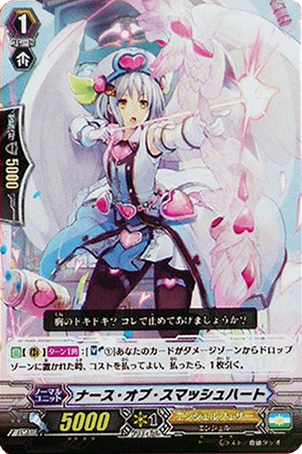 Giving 4k to two units after hitting an opponent’s Vanguard and the only catch is that it’s a Generation Break of 1. Grandfire pulls this off a little better due to the fact that his attack doesn’t need to hit but it consumes a counter blast, so if you’re out of cards to Counter Blast then Grandbazooka is the way to go. Zeal’s new legion allows you to weaken your opponent on both your turn and their turn. 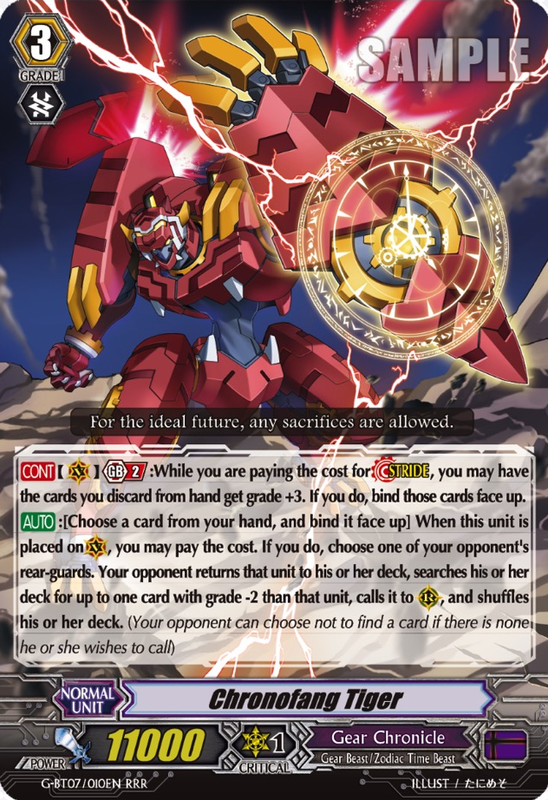 The new cards Ionization Monster, Plazm and Evolution Monster, Davain make it easier to pull off New Era Beast, Zeal’s second AUTO ability but it may feel like you are counter blasting just to un-flip the damage again. 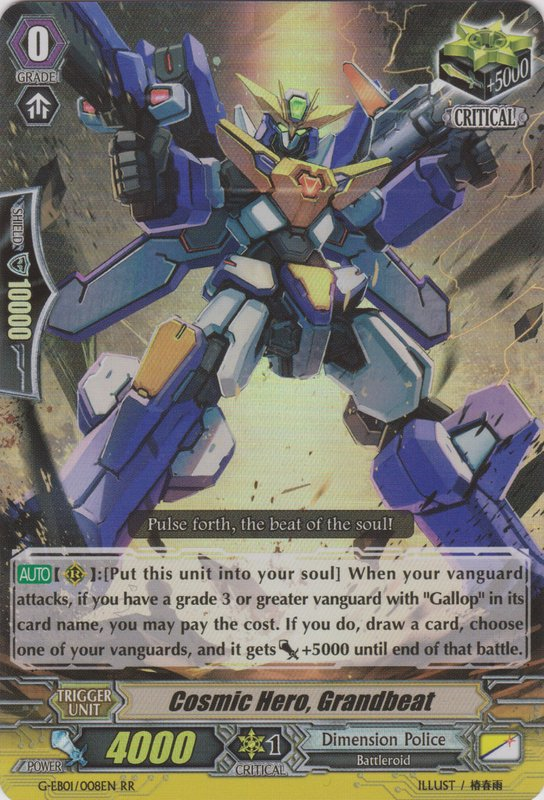 Although Metalborgs don’t get a massive amount of support in this set, they still get some nice power boosters to help with your legioned Vanguard. Especially handy for Sin Buster. Loco Battler also makes for a good Forerunner if you don’t want to use Blackboi or Mec Rogue as your starting Vanguard. 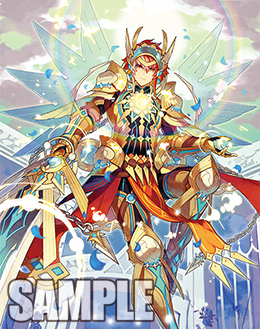 Cosmic Hero, Grandbeat is the new RR critical trigger for Dimension Police. 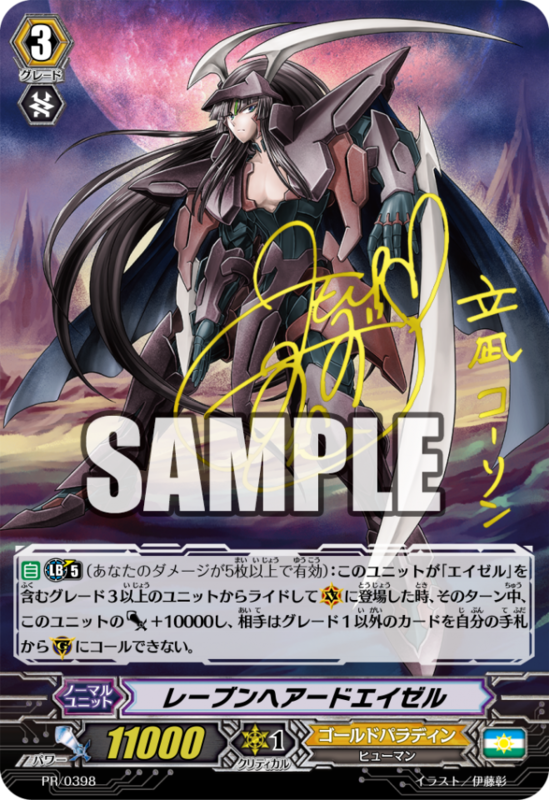 It has been revealed that we are getting the same kind of card for Chronojet and Altmile in G-BT02 Soaring Ascent of Gale & Blossom, but this one working with Gallop is a lot more handy for Dimension Police’s skills to get the Vanguard to their needed power level. This can also work well with X-falcon and X-tiger when you stride them over Gallop because the stride takes the name of the heart. 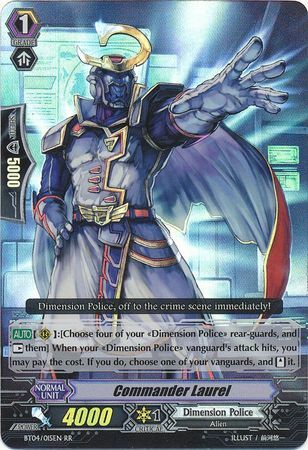 An old Dimension Police card that everyone loves gets brought back into the spotlight with this set. 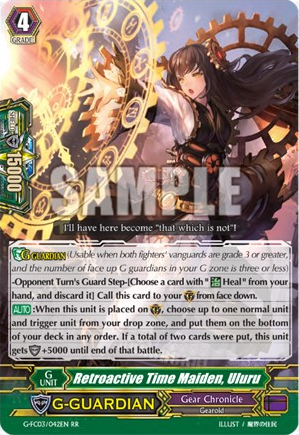 If you can get a hold of Commander Laurel then you’re in luck because being able to re-stand your G unit and keep the triple drive puts a huge amount of pressure on your opponent, especially if while using X-falcon your opponent couldn’t guard the first attack and you have two more face-up cards in your damage zone ready to be counter blasted. Commander Laurel’s skills don’t stop there, though. 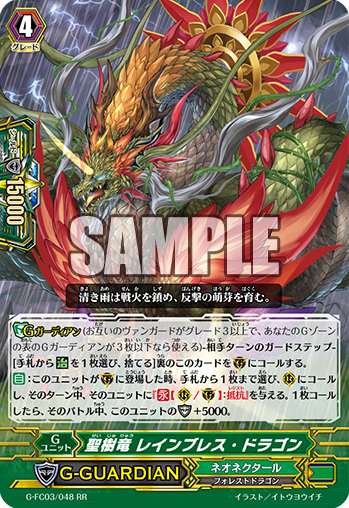 With Enigman Tornado’s skill to ride Enigman Storm as stand after his attacks hits, providing your attack hits again, you can attack with your Vanguard three times in a turn! 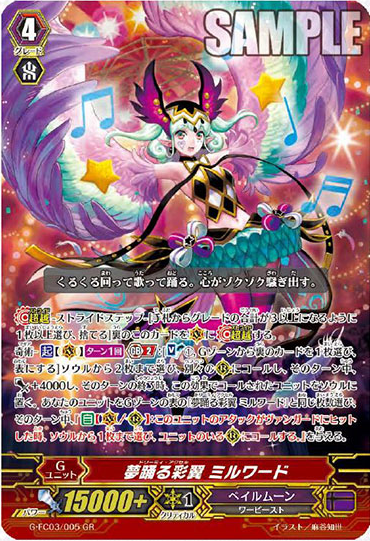 Now, this booster has a lot of amazing cards and I think I’ve talked enough about how great this set is for giving support to all the sub-clans, but some of the sub-clans get a lot more support than others, namely Zeal. 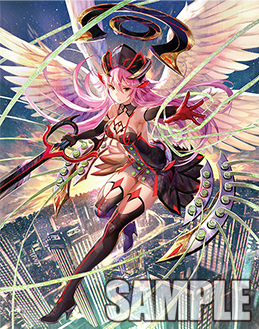 Although Zeal has more cards to easily put your opponent’s Vanguard to 8000 or less. 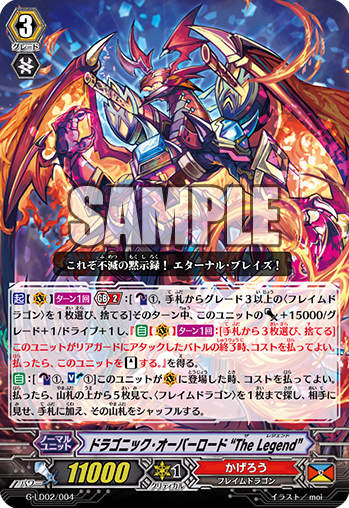 The amount of counter blasts needed for this, combined with Galactic Beast, Zeal and New Era Beast, Zeal’s abilities makes you run out of face-up damage far too quickly. 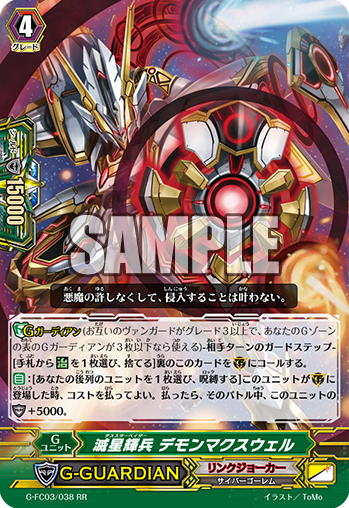 Enigman Sunset allows an Enigman Vanguard to un-flip a damage if the attack hits, yet Zeal could have made use of this kind of support a bit better. Because this set is the birth of the new Cosmic Hero sub-clan you will mainly only be getting a few support cards and no new leaders for older Dimension Police sub-clans in this EB. 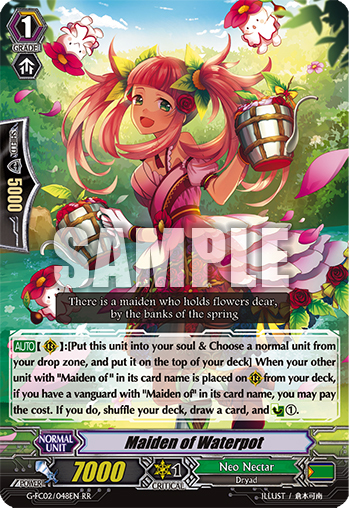 If you wanted to make a Dimensional Robo deck mainly out of cards from this extra booster then I’m afraid you’re out of luck. With the new Cosmic Heroes, this set is a great chance for players to get into the Dimension Police clan to see what they can really do as well as giving veteran players an opportunity to buff up their old decks. Some decks didn’t get the support they needed but as this set is all about the new Cosmic Heroes then it has done a good job of actually giving older decks a better chance instead of just forgetting about them completely. 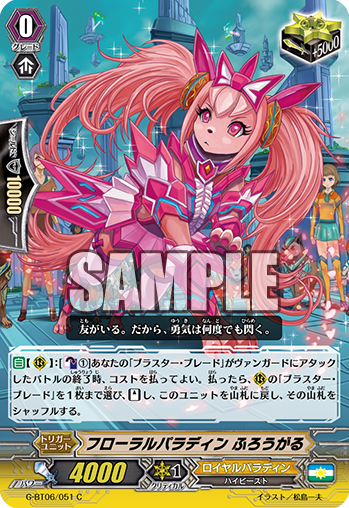 These cards really feel like they belong with the Dimension Police, and with many of the new cards in the G series, these cards feel great to play with, bringing out the potential of the clan. With this kind of support for Dimension Police, I’m really looking forward to seeing what they add to other clans in the future.